Layer after layer of creamy, coconut goodness. I have already gone on the record regarding my appreciation for the coconut cream cake at The Dessert Gallery. Therefore I will not excessively expound on why their coconut cake is par excellence but just emphasize that its salient virtue, and what distinguishes it from other coconut cakes I have sampled, is that the cake proper, not just the icing, has a very strong coconut flavor. Although this feature seems like a no-brainer, many other bakeries use white or vanilla cake and rely on the frosting for the coconut punch. 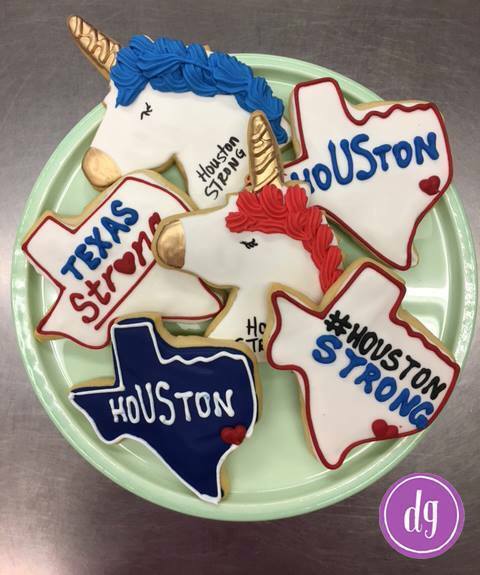 While you're at The Dessert Gallery picking up your slice of coconut slice, please also take home a few of their Houston-themed cookies, the proceeds of which go to Hurricane Harvey Relief.